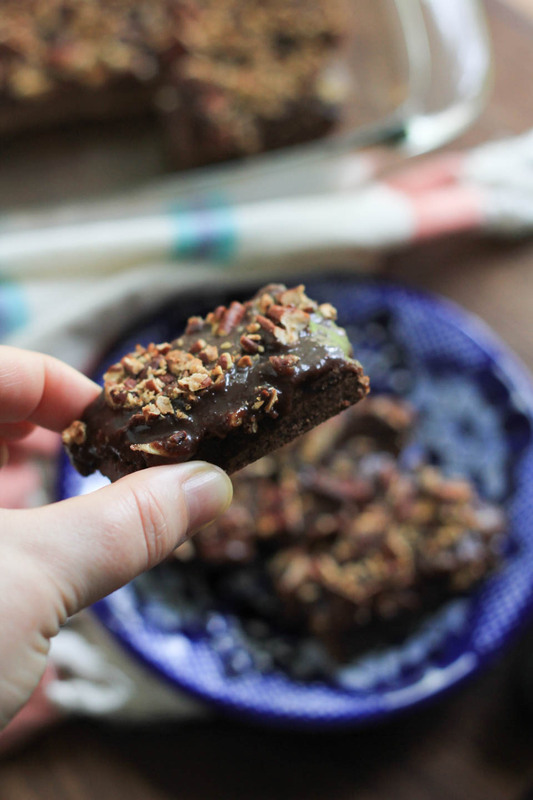 Oxo will be donating $100 to Cookies for Kids’ Cancer for each blog post, which is exactly why I’m sharing this recipe using Oxo products with you! And a super plus, it is so good. 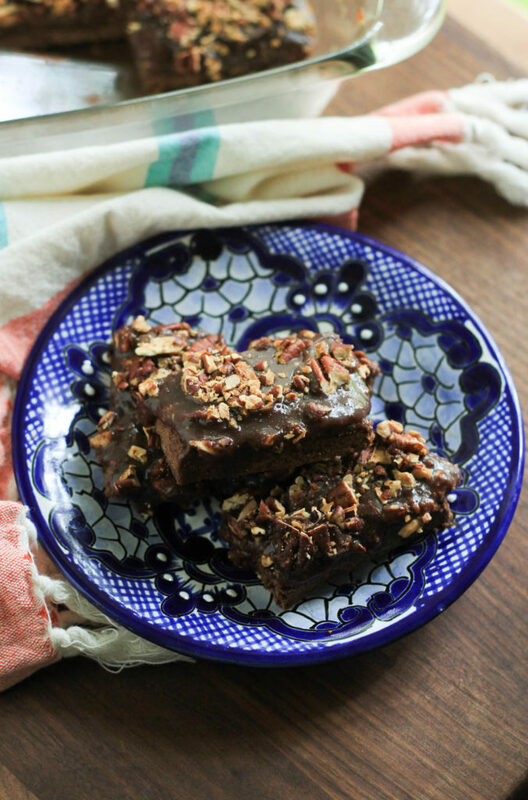 Oxo sent me the recipe to Dorie Greenspan’s newest cookbook and some glass baking pans made from BPA-free borosilicate glass, OXO Good Grips Glass Bakeware which are good with extreme temperature changes. 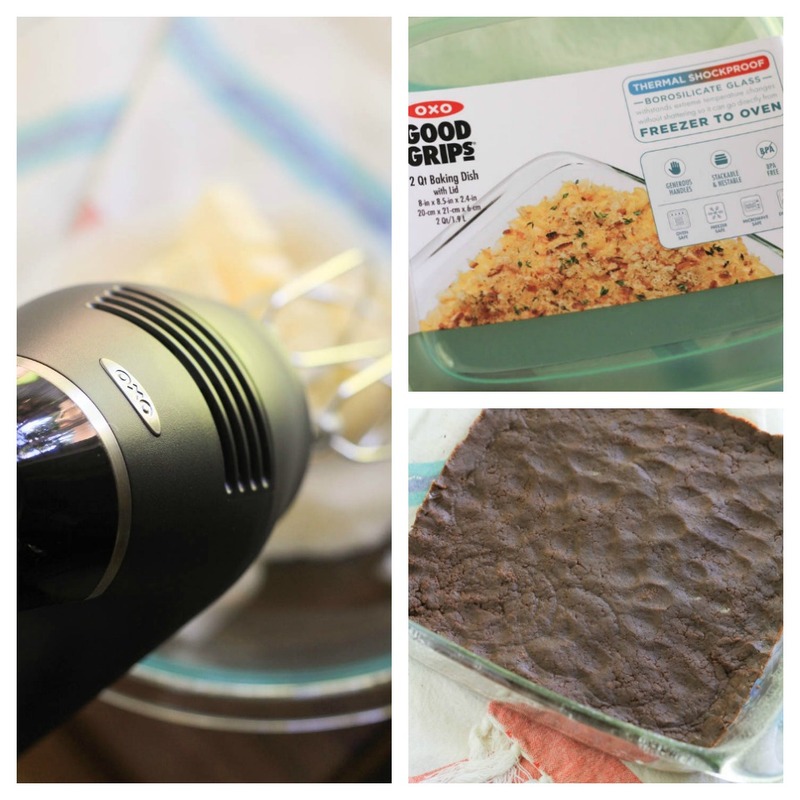 Plus an Illuminating Digital Hand Mixer which I loved using for this recipe, it has an LED light on it and it was easy to use! It had a smooth transition from each speed, which was my favorite part. Put the sugar, water and corn syrup in a small saucepan or skillet and bring to a boil over medium-high heat. Allow the ingredients to bubble away, brushing down the sides of the pan with cold water if there are spatters and swirling the pan a couple of times once you start seeing some color, until the caramel turns a pale to medium amber. (Don’t let it get as dark as mahogany.) Lower the heat, stand away from the pan and add the cream, followed by the butter and salt — ingredients that might cause the caramel to boil. 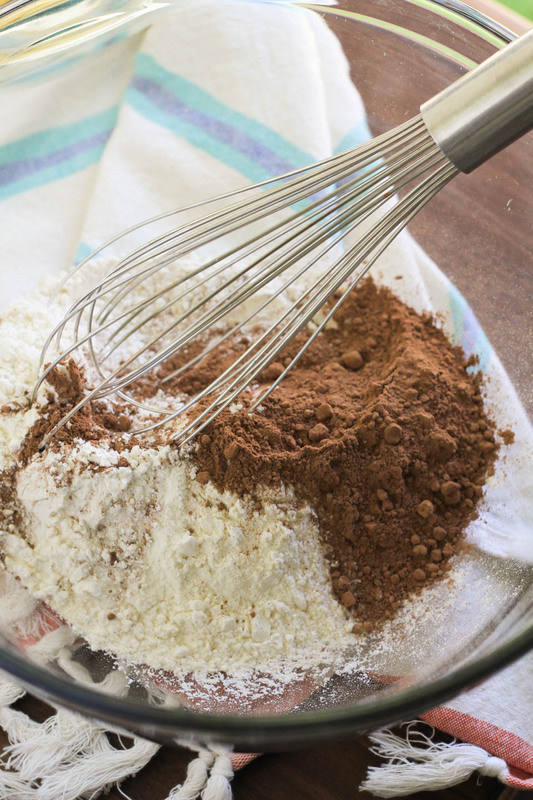 Remove the pan from the heat, drop in the chocolate and, using a silicone spatula or wooden spoon, stir to blend. 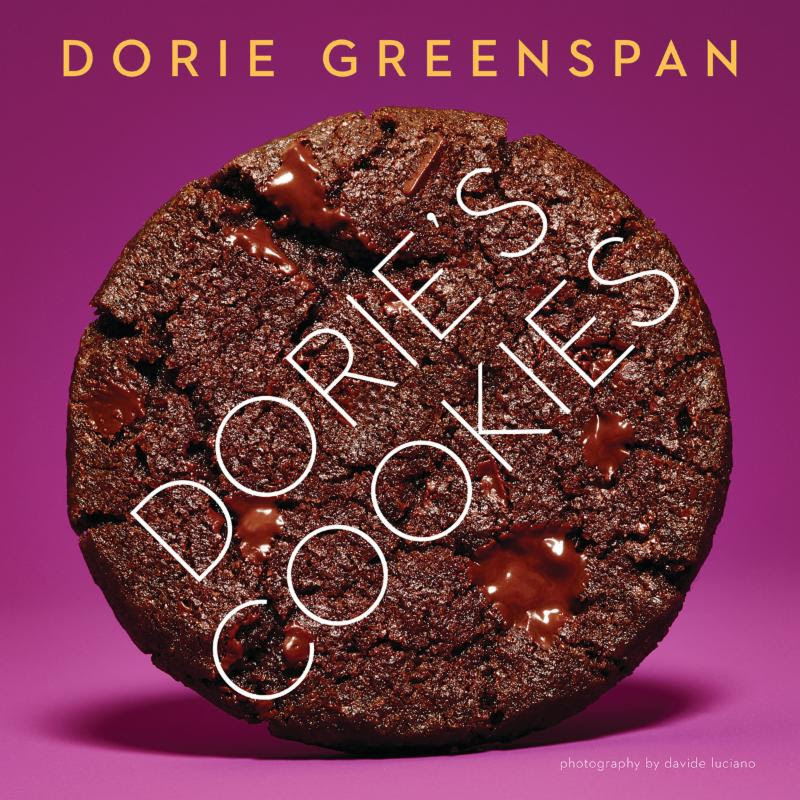 Disclosure: This is a post in collaboration with Oxo for Cookies for Kids’ Cancer and Dorie Greenspan. As usual all opinions are my own. I received a hand mixer, Glass 3 Qt Baking Dish with Lid, Glass 2 Qt Baking Dish with Lid, Brownie Spatula, Illuminating Digital Hand Mixer. Can you tell me what the heatproof bowl is for making the caramel? A glass pyrex bowl or a bowl that can sustain burning hot caramel. Thanks! What a great cause! 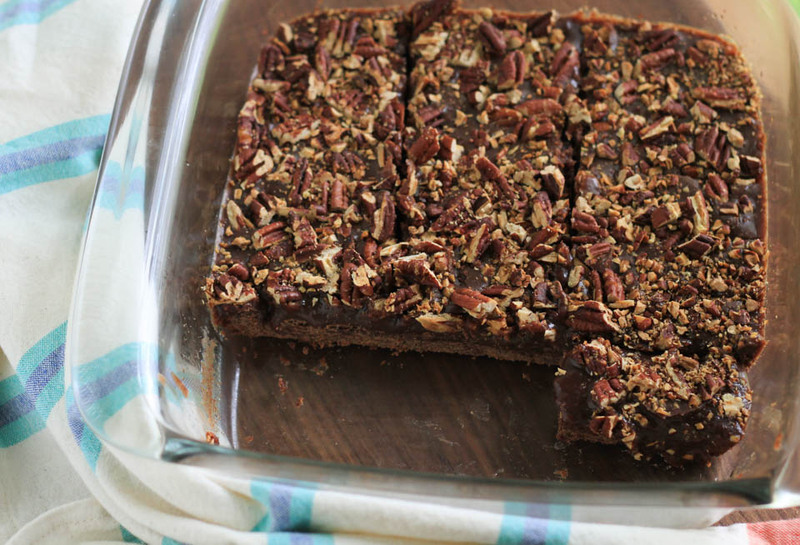 These look so yummy and decadent!